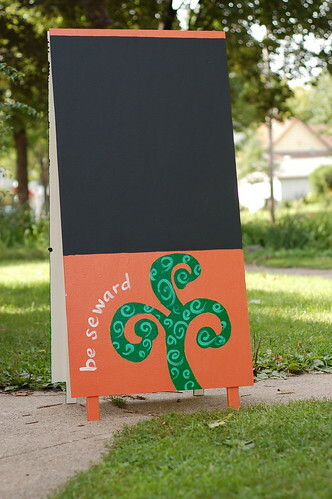 The Seward neighborhood business association is sponsoring a program to have local artists paint sandwich boards for local businesses. I finished painting mine this week. Kinda fun. I wonder which business will end up with it. 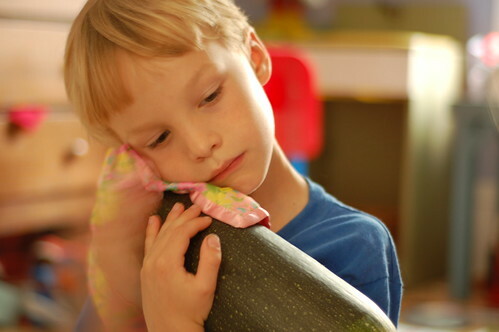 We have a huge zucchini at our house. The kids have been pretending it’s a baby. Even putting it in doll clothes. I’ve been doing more portraits lately. My friend Whittier and I had fun making photos downtown this week.